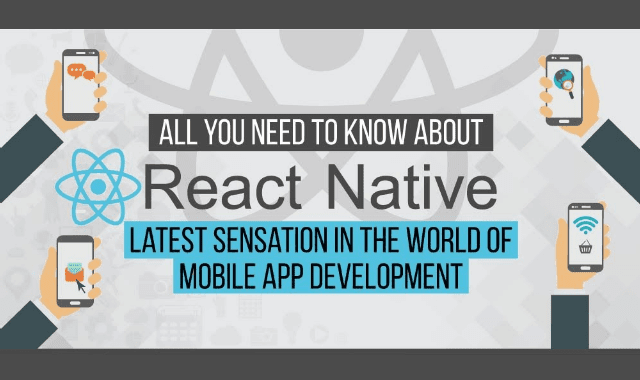 All You Need To Know About React Native #Infographic ~ Visualistan '+g+"
In today’s highly competitive mobile app market, mobile app developers face the challenge of tight deadlines on a regular basis. To add insult to the injury, businesses and clients expect a quicker delivery of their mobile app with faster performance and minimal costs. This makes things extremely difficult for app developers. New mobile app development frameworks are being introduced to deal with these challenges, which have made app development easier for mobile app developers. Facebook took a step in that direction and launched React Native. It has made a massive impact already and it is just getting started.